Hey there! I purchased my 1977 911S this past winter and after lurking around for a few months finally decided to jump in and actually sign up. I also have a blog set up where I write about my car...it's at http://77911s.blogspot.com. A photo of my car is attached. This has been a great resource so far...I'm looking forward to becoming part of the community. FYI, I've already fixed the goofy fog lights! Last edited by ljibis; 05-31-2007 at 02:38 PM.. Welcome to Pelican Luke. Enjoy your car & the Pelican community. Welcome aboard...have fun now...And nice ride. 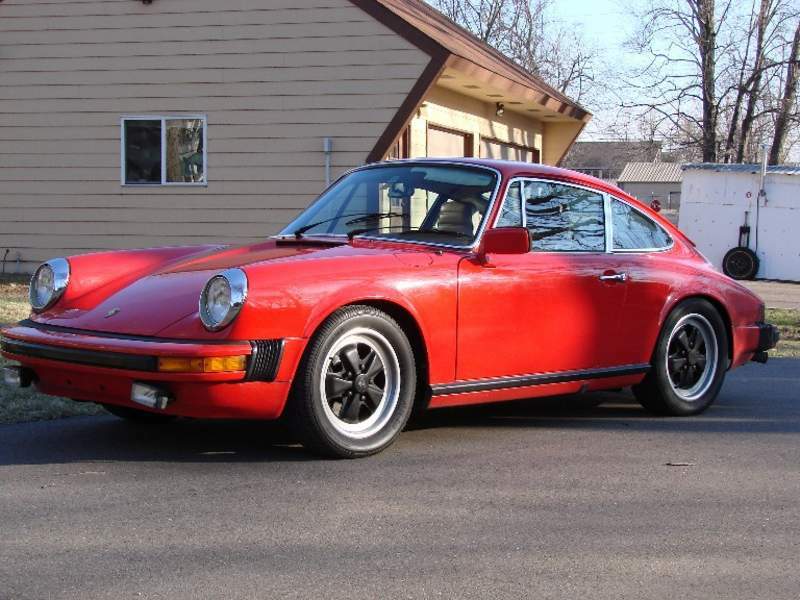 Nothing like a classic red 911! Welcome, the car looks great and congratulations on the new home purchase as well. BTW, my '77 had black window trim and door handles. How did this one end up silver? I like it. Did you ever figure out how your copper brown car ended up guards red? Unless the car was rebuilt from the ground up, that's a pretty hard thing to hide. I am become Bob, Destroyer of Boats. ...and a bunch of other cars/boats/planes that are sold, sunk or crashed. Now that you have crossed over, don't let the Porcupine jokes get to ya! Impossible. Everyone knows there are no Porsches in Minnesota! Welcome Luke, we're a rare bread but we do exist. There are several very active St. Paul/Minneapolis Pelicans on the board. Watch here for news of the annual coffee dashes and fun runs. Welcome. Prepare to become obsessed. more with the forum or with the car ?? Looks like you got dealt a real cool hand. I'm another noob - I started reading and enjoying your blog a while ago when I bought my '76 911S Coupe (Ice Green Met. ).